Alternately, you can use an Arduino Uno and follow these instructions. 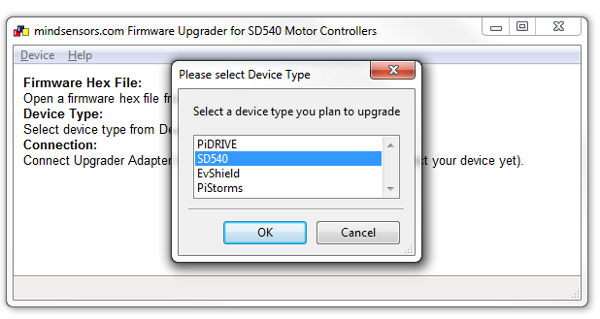 The Firmware Upgrader is designed to run on a MS-Windows XP or Vista or Windows 7 computer. Place the program and its configuration file and device firmware in any folder on your computer. 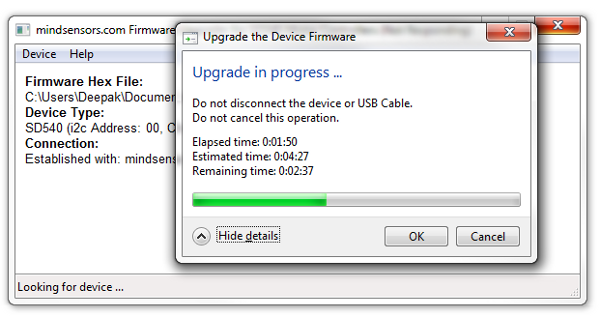 Connect your Upgrader tool directly to your PC on USB port. (Do not use USB hub between PC and tool). Browse to the folder and double-click the application 'mindsensorsupgrader'. From the 'Device' menu, select menu item 'Select COM Port ...' and choose appropriate COM port. 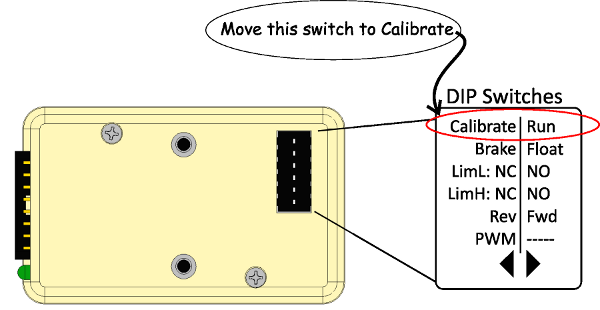 On the bottom of SD540 there are several DIP switches, move the Calibrate/Run DIP switch on SD540 to Calibrate position. Connect Power terminals of SD540 to battery and supply 12 Volts. 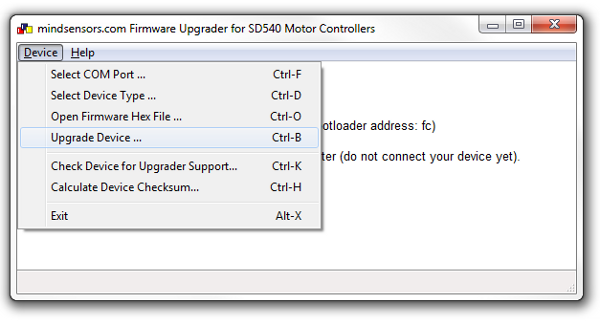 Attach the 4 pin cable of upgrader tool to SD540 on I2C pins as in picture below. 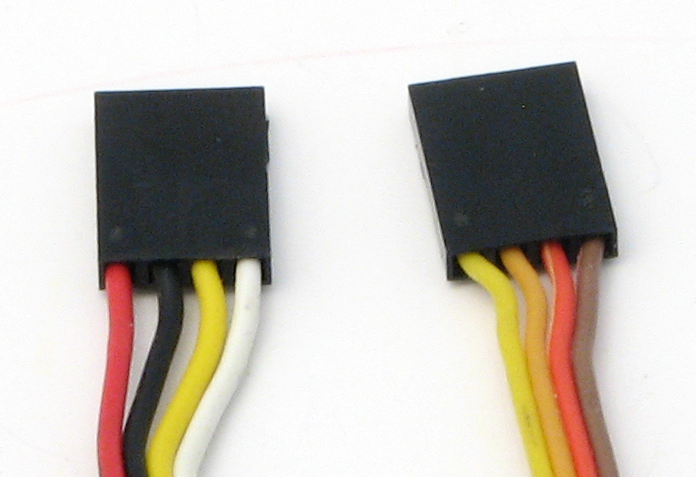 The cable on your Upgrader may be Red/Black/Yellow/White or Yellow/Orange/Red/Brown. Whatever the colors are, refer to following orientation and connect. At this point the LED near the 16 pin connector should be Green. If not, check your connections again. It takes about 5 minutes for upgrade to go through. Wait for it to finish, upon completion follow on screen instructions. Your device is now upgraded with new firmware. Be sure to move the DIP switch of your SD540 back to Run Position. While upgrade is in process, the LED near the 16 pin connector will flash between Green and Red.